HONG KONG, 28 Dec, 2013 - Advanced Card Systems Ltd. (ACS, a wholly owned subsidiary of Advanced Card Systems Holdings Ltd., SEHK: 8210), Asia Pacific's top supplier and one of the world's top 3 suppliers of PC-linked smart card readers (Source: Frost & Sullivan), was named as one of “The Hong Kong’s 100 Most Influential Brands for 2013” by the Word Brand Laboratory. Being selected as an influential brand is proof not only of popularity, but also of a brand’s capability to maximize shareholder value. The World Brand laboratory determines awardees through a mathematical valuation of intangible assets, including: customer loyalty, brand value, profitability, and market value. Past awardees of the distinction include internationally renowned enterprises like HSBC Hong Kong, Bank of China Hong Kong, and Cathay Pacific. 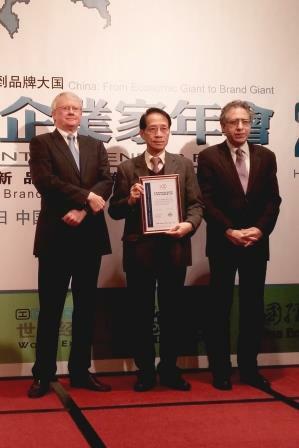 Mr. Denny Wong, CEO and founder of ACS, accepted the award on behalf of ACS on Dec 27, 2013 in an award conferring ceremony (see picture). Advanced Card Systems Ltd. (ACS, wholly owned subsidiary of Advanced Card Systems Holdings Ltd., SEHK: 8210), founded in 1995, is Asia Pacific's top supplier and one of the world's top 3 suppliers of PC-linked smart card readers, as well as the winner of the Product Quality Leadership Award for Smart Card Readers from Frost & Sullivan. One of the companies on Forbes Asia's 2010 “Best Under a Billion" list, a prestigious list of 200 top-performing companies with sales between US$5 million and US$1 billion, selected from 12,930 publicly listed enterprises in Asia Pacific, ACS develops a wide range of high quality smart card reading/writing devices, smart cards and related products and distributes them to over 100 countries worldwide. 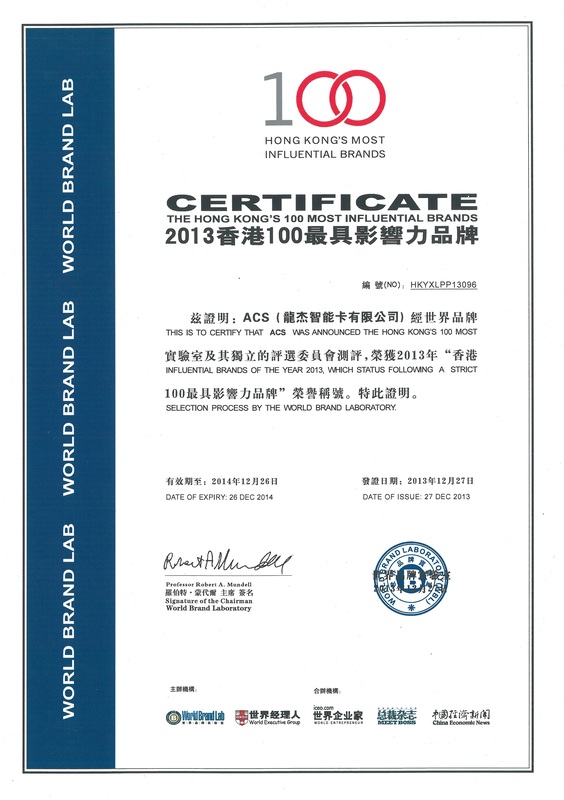 Visit ACS at http://www.acs.com.hk/. Founded in New York and headquartered in Beijing, the World Brand Laboratory is an independent consultancy that provides branding advice to all kinds of organizations, especially advice concerning effective management of intangible assets. It also promotes research, promotion, and protection of branding, and is dedicated to formulating branding concepts that are “encouraging, sustainable, and even bring significant commercial success.” Visit the World Brand Laboratory at www.worldbrandlab.com.